In 2018, UNOSSC published the “Good Practices in South-South and Triangular Cooperation for Sustainable Development Vol 2”, featuring Southern good practices that are relevant to the implementation of all 17 SDGs. In this context, the ILO contributed with three good practices, related to the achievements of SDG1 and SDG8. Within the UN system and the development communities, the role of SSTC is well recognized as an important cooperation modality towards the achievement of the Sustainable Development Goals (SDGs). Against this backdrop, in 2016, the UN Office for South-South Cooperation published the first “Good Practices in South-South and Triangular Cooperation for Sustainable Development Vol 1” and, in 2018, the second of its series (Vol 2). SSTC has been an important part of the work undertaken by the United Nations development system in promoting all the SDGs, among which SDG8 on Decent Work. 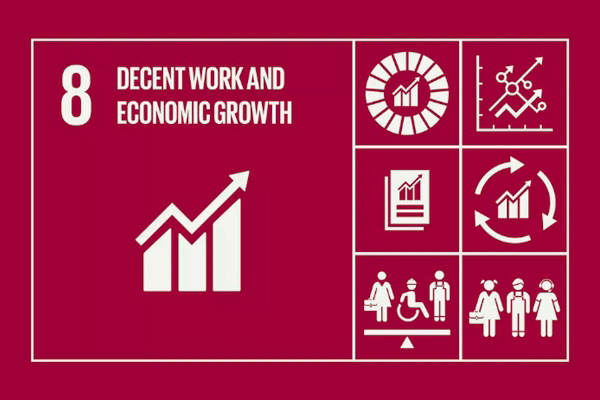 For the ILO, SSTC is an important mean to promote and implement the Decent Work Agenda. In March 2018, the ILO Governing Body has reviewed the implementation of the SSTC strategy adopted in 2012 and agreed on the future SSTC steps, including promoting the use of SSTC in ILO strategic frameworks, initiatives, and programmes. Among all the SSTC good practices carried out by the ILO to contribute to SDGs, three of them were chosen to be showcased in the UNOSSC’s publication. They are: “ILO Social and Solidarity Economy Academy”, “Partnership for Action on Green Economy”, and “TRANSFORM – promoting social protection in Africa”. The first two projects were highlighted in the SSTC contributions to SDG8, and the last to SDG1.